This question is for my husband and it's probably going to sound pretty stupid on my part, so fair warning.... After a year of being paleo, my husband is finally on board and doing a whole 30 with me. He is looking to build muscle and is working with a trainer at our gym. He would describe himself as skinny and his BF is at 25%. The trainer recommended he drink a protein smoothy before his workouts (homemade, paleo-approved ingredients, but might also include protein powder or something, but not sure). Anyone have any good recommendations of paleo-friendly workout sites/blogs? Also is there anything I should know as far as what to cook? When you are trying to put on weight in muscle, is there anything special you need to do? I have always been so weight-loss oriented in my mind that I've never really thought much about what to do to gain weight in the form of muscle). Is it just a matter of eating more protein and lifting heavy or is it enough to just eat paleo and lift? Are protein shakes necessary? I feel like a complete newbie asking this stuff, but it feels a little out of my realm. Sounds excellent then, You're doing all the right things. I think it's a good suggestion! Can't do cheese, but sweet pots and eggs are staples around here. ok, obviously avoid it then. I tried to look up if other dairy has the same effect a few days ago (eg can you get it by eating yogurt or cheese), but haven't found any definite answers. The minimum seems to be get some carbs and a little protein in after the workout to speed recovery. Lift heavy once a week to build strength, and bear in mind that amount of muscle is not exactly the same as strength. I've worked out fasted and I have way less energy than if I eat something. I work out at 10am though, so that's quite a bit of time to be up. Stocked up on red meat at the farmer's market yesterday. I haven't eaten red meat in years (working up to it), but I'm going to cook it for my family. Also, gave him the sprint workout you provided in another post. Thanks! We're doing a whole 30 right now, so milk is out. Also, he's pretty sure he's lactose intolerant, so milk is probably a no-go. I did not down vote this though, by the way! several people recommend working out fsated, but I don't like it. I think if you're not trying to become super-buff or ripped, then the advantages are minimal. For people looking to improve their fitness by getting stronger, then the most important thing is to do what feels good & what keeps you going back for more. Really, somebody -1'd this? There is definitely evidence supporting eating eggs for gaining muscle. I suppose a couple of hard-boiled eggs would be even easier. He is 38 and he hasn't really been all that active in the 10 years I've known him. He just wants to gain some strength, not become a body builder or anything. Some of his workouts will be really early in the morning and he feels like he needs to eat before (didn't have a ton of energy otherwise), so I was thinking a smoothie w/ almond butter, spinach, fruit, raw egg to make the night before. He could probably work out fasted down the road after he's adjusted. I second this. My own story is long and boring, but diet-wise I didn't do anything "special" beyond a general paleo focused diet to go from 205lbs @ 28% BF (147lbs LBM) to 180lbs @ 10% BF (162lbs LBM). Especially don't eschew starchy carbs! Eat 'em up! Well, it would be highly unlikely for him to not be able to produce a positive nitrogen balance on a meat-based diet. Any effect of supplemental protein would be marginal at best. In reality, most bodybuilders have come to realize that it's the carbohydrates, not the protein that are most anabolic (and, ahem, the exogenous anabolics). That being said, it's all a moot point if the individual's testosterone level is low. Ensuring adequate nutrition via a balanced ancestral diet will address most of his probable nutrient insufficiencies and likely put his endocrine system in working order. Shooting for 8 hours a night of sleep is also of utmost importance. 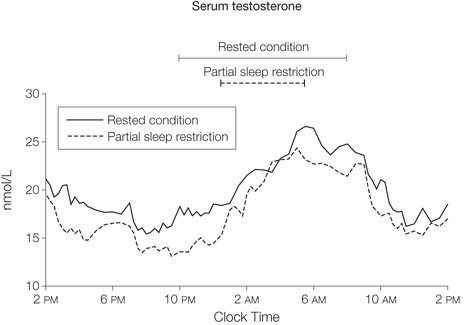 I saw a study where going from 8 to 6 hours a night resulted in a drop in testosterone of 20%. Red meat, potatoes. If he drinks a protein shake in milk have him add heavy cream to it (if you can get a good source w/o carrageenan). 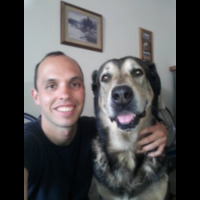 Paleo friendly workout blogs/site include Mark's Daily Apple, Skyler Tanner and Body by Science. I think some of the advice depends on his age & natural athleticism. If he's 35+ he's going to need more recovery time than some younger guys and so he might want to reign back other types of exercise, if he's focused on increasing muscle. The same applies if he's never been particularly fit in any general sense. If the focus is on bulking up, then you've got to feed the process with protein. After that, there's a range of views on carbs, but I have doubled my strength in the last 9 months, admittedly from a fairly low base, by keeping my carb intake to around 100g per day & upping my fat intake dramatically. Smoothies can be useful if you can't get enough pure protein in for whatever reason, but are not an absolute must. no science here, but i do find that eggs have an anabolic effect for me. 6 eggs (you heard me), cheese and a pile of sweet potatoes after a lifting session is simply fantastic. your mileage may vary. The only thing I wold add to @Travis Culp's answer above is getting plenty of physical activity and exercise. Weights and stretches can help build a shapely body, but I think any varied exercise is good. Exercise, after sleep, is the best thing for making hormones and metabolism sane. Milk's how the old time bodybuilders used to pump up their protein. But you're talking a gallon a day plus. Whey's protein's an advancement over that in that it's concentrating the protein so you don't have to drink as much liquid. Plus with the isolates, you're not affected by the lactose intolerance (because there's no lactose). You still have to worry about that with the concentrates. I have the double challenge of eating paleo and being an endurance enthusiast while trying to gain a little muscle weight... results are decent now that I allow some "safe starch" calories each day, i.e. sweet potato, white rice or some dates. whole milk. then some more milk. I think it added muscle to me without even working out. Lift weights once a week if he wants to. Did I mention the milk?